GLUTEN-FREE, GRAIN-FREE, DAIRY-FREE, REFINED SUGAR-FREE, SPECIFIC CARBOHYDRATE DIET (SCD) & PALEO. 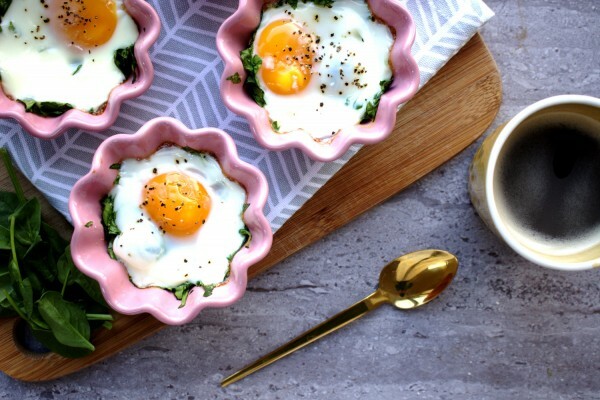 Saturday morning in our house often means: spinach baked eggs! This is definitely one of those dishes that looks a lot more fancy than it really is. It’s a great one to make if you are having people over for breakfast or brunch and honestly it is so quick and easy to make. Your guests will be impressed but it requires very little effort on your part. I love that this is a dish that you throw in the oven and you don’t have to stand over. While it’s cooking you can make your morning smoothie! 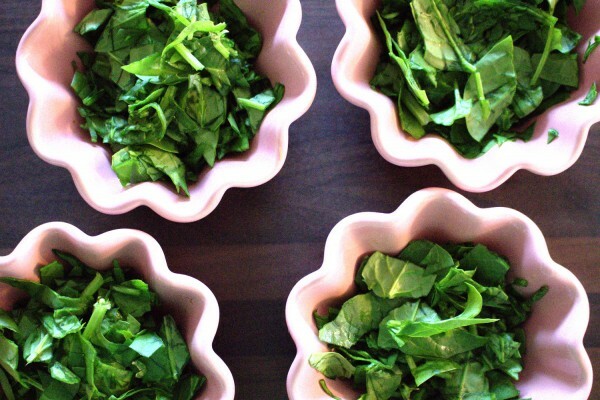 It’s also healthy with plenty of essential vitamins and minerals from the spinach. This is yet another one of my recipes that feeds my ramekin obsession! Every time I visit a new kitchen shop I have to buy a new one. My husband is constantly complaining they are slowly taking over our kitchen :). I have to exercise serious willpower in kitchen shops not to spend a fortune on food blog props. My current collection of tea towels is pretty impressive! Popped in fancy ramekins, spinach baked eggs makes you look like a breakfast superstar. Any recipe that encourages my daughter to eat her greens is a huge hit with me. She adores this one and I am happy that she is getting one of her seven a day at breakfast time. My idea of what healthy food is has completely changing since I started the Specific Carbohydrate Diet (SCD). I never realised how heavily reliant on gluten and grains my diet was until I removed them. The rest of my family are not on any special diet but we all eat a LOT more vegetables than before and virtually no processed foods which can only be a good thing! Preheat the oven to 180°C Fan, 200°C electric, gas mark 6 or 390°F. 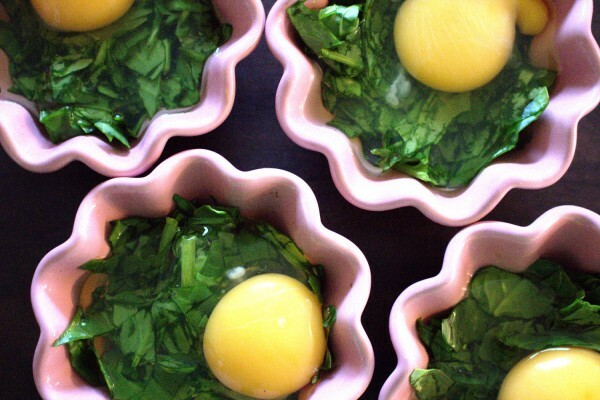 Divide the olive oil between four oven-safe ramekins to grease them well. Divide the spinach evenly among the ramekins. Next, drop one egg into each ramekin and season well with sea salt and black pepper. Place on a baking tray and bake for 10 minutes or longer if you prefer harder yolks.